Take a look at SynapseIndia jobs opportunities for Online reputation & brand management professionals. We are looking for professionals with expertise in ORM & digital marketing field. SynapseIndia offers effective online reputation & brand management services to the clients across the globe. Known world over, SynapseIndia has its clients located in more than 30+ countries. Our ORM team has been helping global businesses with their online image management over the period of a decade. 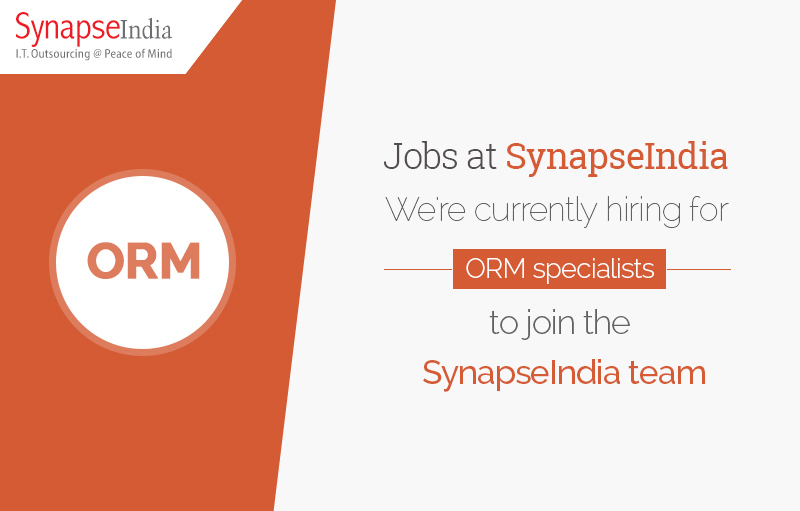 Come, become a part of our team of like-minded professionals and explore the career opportunities with SynapseIndia jobs. We are known widely for our great work environment & competitive employee benefits.